Did you know that the way you frame setbacks influence how effective you are in dealing with them? One of the most powerful lessons I’ve learned is that true transformation starts when we recognize the broad influence beliefs has on us. Beliefs shape our direction in life. Because we can’t always control our circumstances, this post offers a proposal to rise above them. To think like a warrior and act like a goddess. This means matching mindset and habits with what you want to experience. At this point you may be asking yourself, but how can I do that when things go wrong? My answer is by harnessing the energy of hope. Shane Lopez, Ph.D., in her book Making Hope Happen, mentions that hope is the basis of all positive change because hope is the belief that things could be better and one can make them so. Accept my invitation to rekindle your hope. 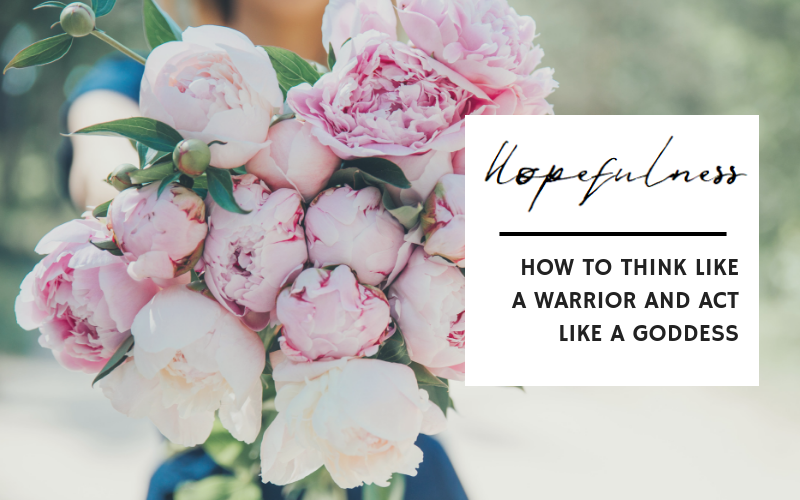 To think like a warrior by defining your new hopeful beliefs and protecting them. To act like a goddess by building a vision of your new hopeful self and behaving aligned to that vision. I would love to close with this quote of Dr. James Loehr and Peter McLaughlin, from their book Mentally Tough, “No matter how negative you feel, act positive. Fake it… You will become what you have pretended to be.” Act the part. Reach beyond setbacks toward a greater power within. You’re a warrior goddess! This could be a message that someone you love needs to read today, so please share on your favorite social media. I’m Aracelys Roman and I support you to shift the way you respond to change. My work is all about tapping into your creative energy, your intuitive guidance and your unique potential during the change process to increase resiliency + optimism and thereby expand your capacity to move forward to what life is really calling you to be. What if you could embrace change instead of fearing it? 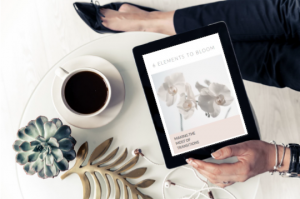 Receive a copy of my FREE guide 6 Elements to Bloom: Making the Most of Transitions, where I share my signature framework for transitions to find inner strength, overcome challenges, rebuild your life and thrive every time you are faced with change.